Dulac is formed of a group of fashion designers in New York. They are passionate about jeans and have decided to focus exclusively on jeans. They began working with major labels and the jeans they design sell under prestigious brand names, all across the world. Dulac’s love for denim and craftsmanship has earned them a reputation for integrity and authenticity. 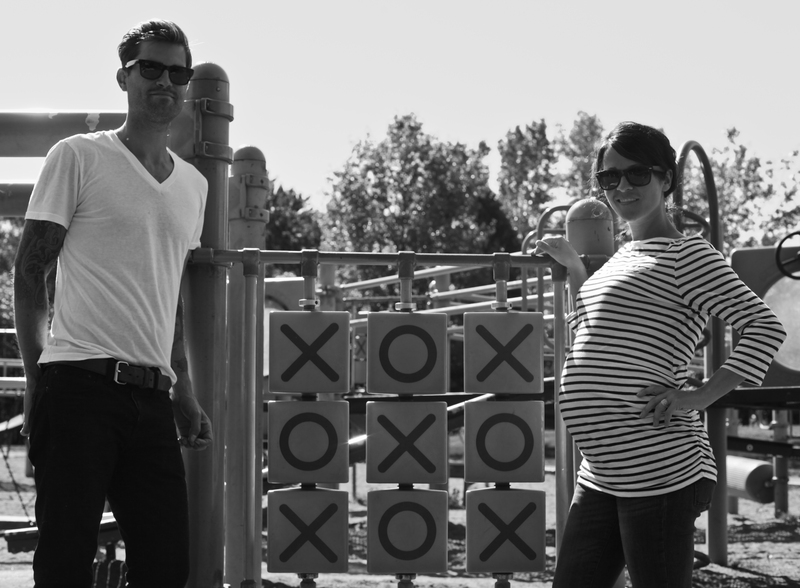 By producing the jeans in collaboration with a small family-owned manufacturer. 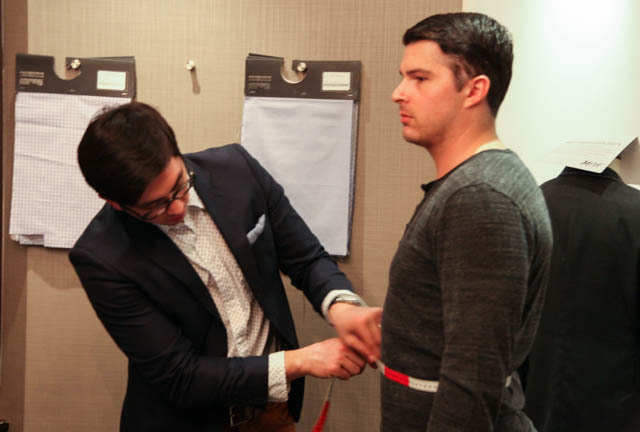 They employ eight people who specialize in denim production. They are among the few remaining true denim artisans left in North America. 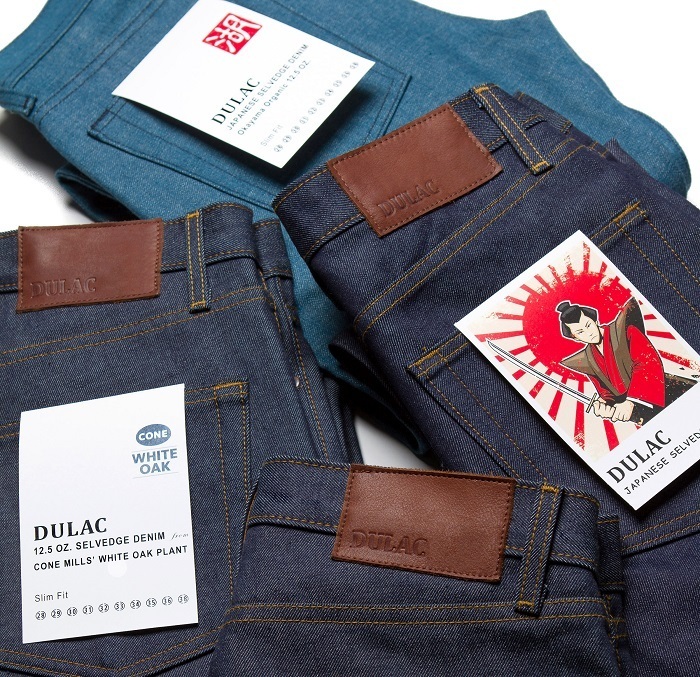 Dulac has worked with this team since 2010 and they have the skills to manufacture high-quality jeans. 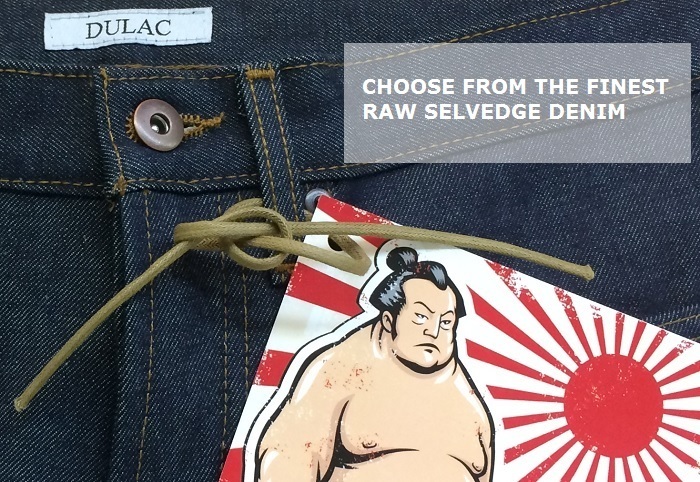 Dulac is looking to bring high end selvedge denim jeans to the consumer at a wholesale price point. They are looking for pledges to get backing for this project. 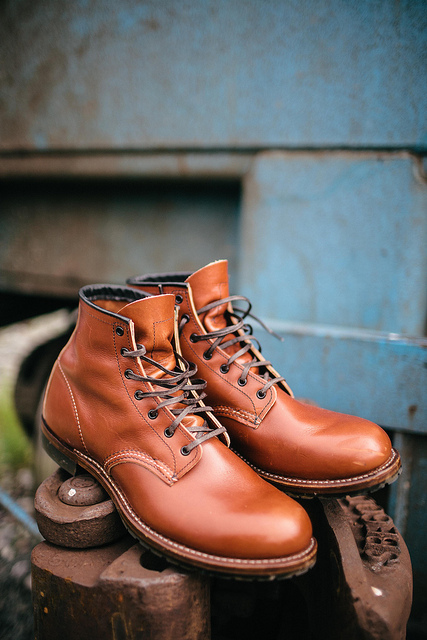 Martin Patrick 3 is hosting a get together this Thursday, December 12th to celebrate the arrival of two new Red Wing Heritage styles. 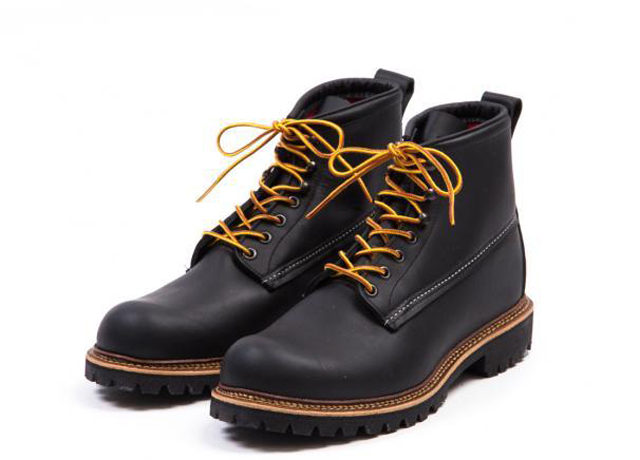 Prior to this year, the 9022 and 9023 boots were available only in Japan. They are now making their Minnesota debut at Martin Patrick 3. In addition to celebrating the 9022 and 9023, Martin Patrick 3 will be serving two signature cocktails at the event and will have cigars being hand rolled on site. 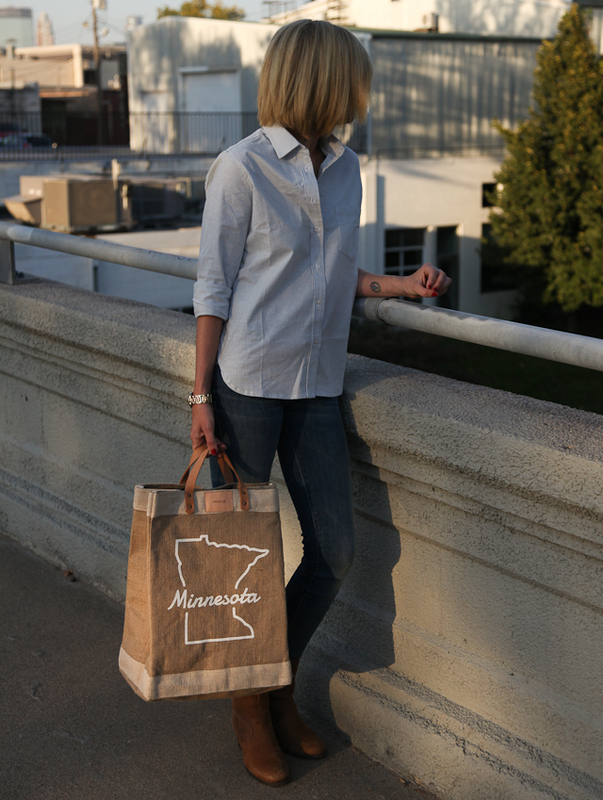 We have been following Tradlands since their conception in 2012 and have been impressed by their design and quality. 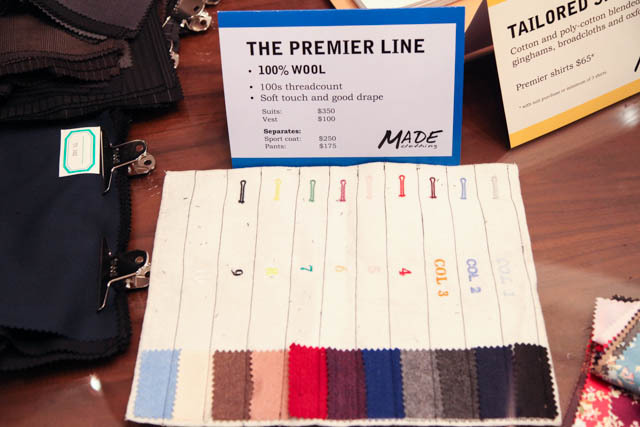 The San Francisco brand and manufacturer makes women’s apparel inspired by men’s staple items. Wait, what? High quality, great fitting clothing for women inspired by men’s classics? That’s right, so it was only fitting for Columbus & Co. to do a featured post on them. 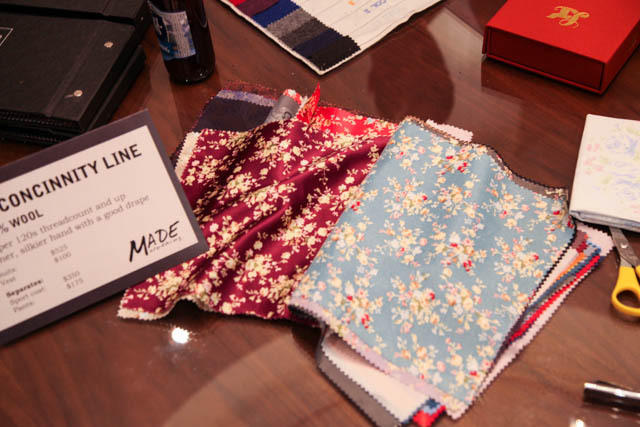 Tradland’s sources materials in the United States and hand sews their shirts in San Francisco. Each piece is named after a place in San Francisco, which is pretty unique. 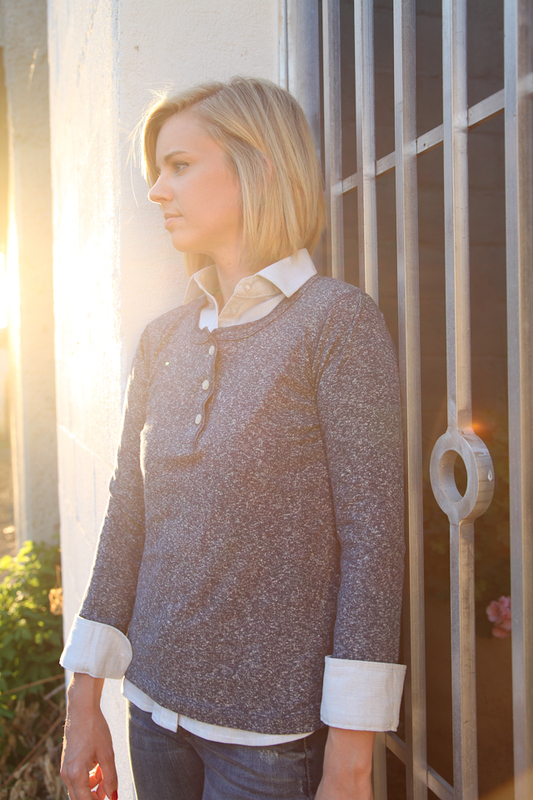 Elizabeth is wearing the Jones St. Blue stripped button down and The Avenues Liberty cotton henley. Tradlands has done so much in so little time, we’re excited to see how this company develops in the coming years. We wish them luck! Askov Finlayson is teaming up with Minnesota’s favorite boot manufacture Red Wing in their launch of a new snow boot called the Ice Cutter. The event is this coming Thursday, October 17th at Askov Finlayson. 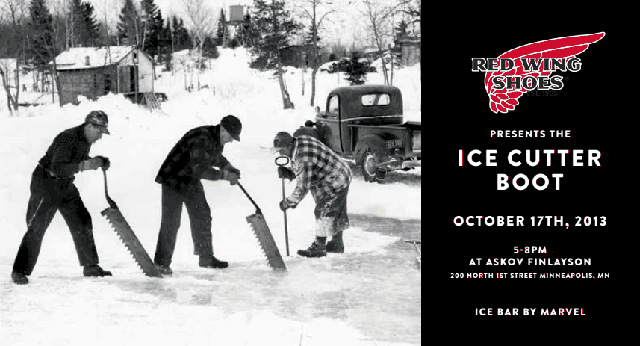 Cocktails will be served from the esteemed Marvel Bar and Red Wing staff will be present to share the concepts behind the Ice Cutter. 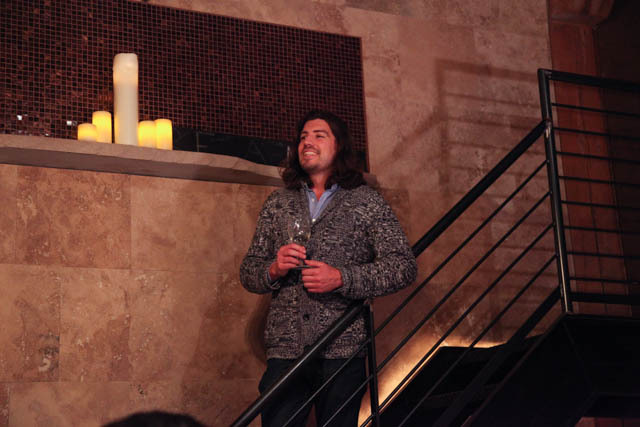 Columbus & Co. is loving what Askov Finlayson has been up to. This store is making a name for itself around the country and we are proud to have them in our back yard. Red Wing, is a Minnesota staple so it was only a matter of time before these two paired up. Come join all of us for a fun social evening. More about the Ice Cutter below. 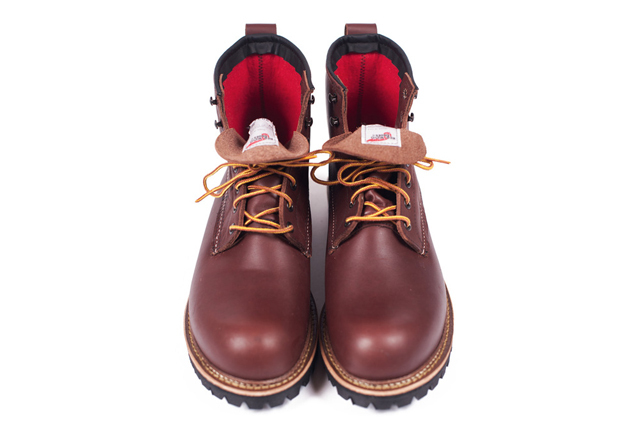 The Ice Cutter can weather it all thanks to its northern pedigree, where civilization doesn’t shut down during the depths of winter and boots are required to be as resilient as the people who wear them. Built using natural wool for insulated warmth, beautiful Black Otter Tail leather, and a durable lug sole the Ice Cutter is inherently water and ice resistant. 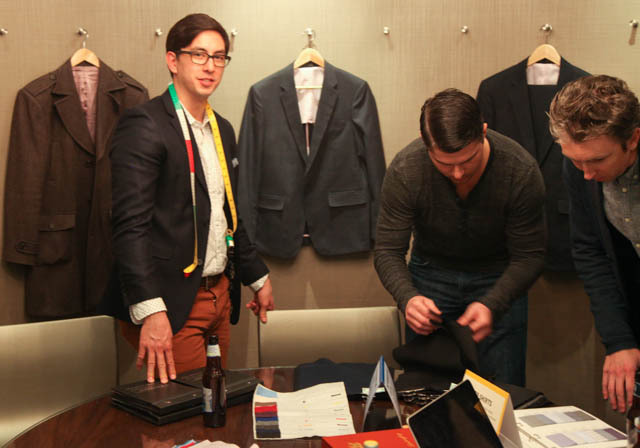 Askov Finlayson’s latest event was more than fun. 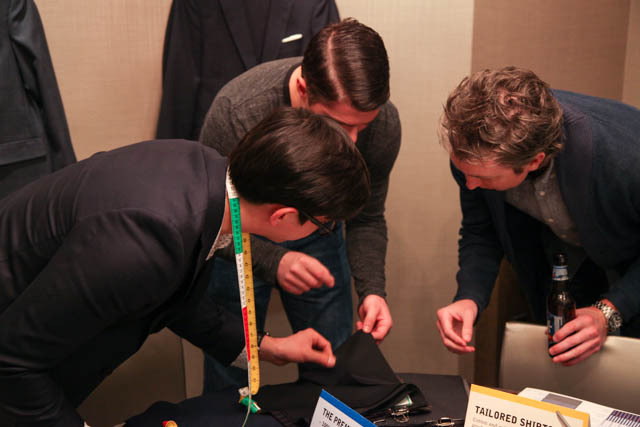 It was good to connect with everyone and check out Askov’s Explorer pant. Myself and Nate from Basics of Man grabbed a pair. 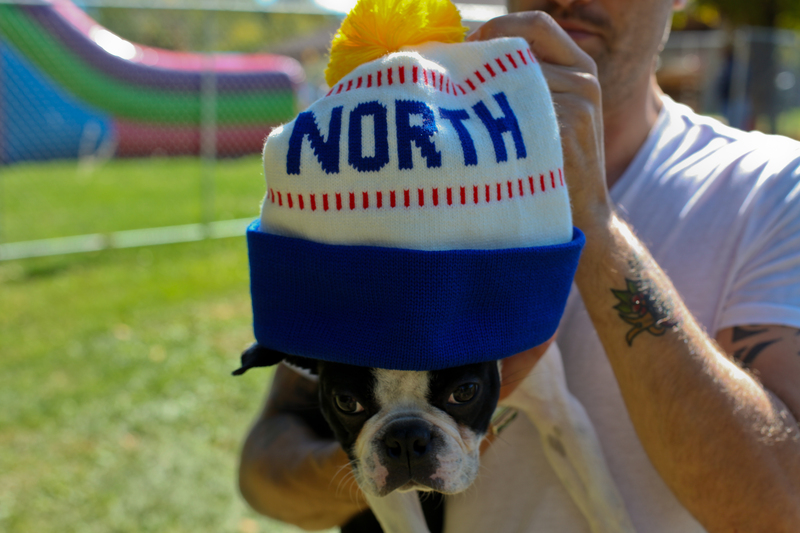 I also grabbed two North hats, which are a part of their new Made in America line. 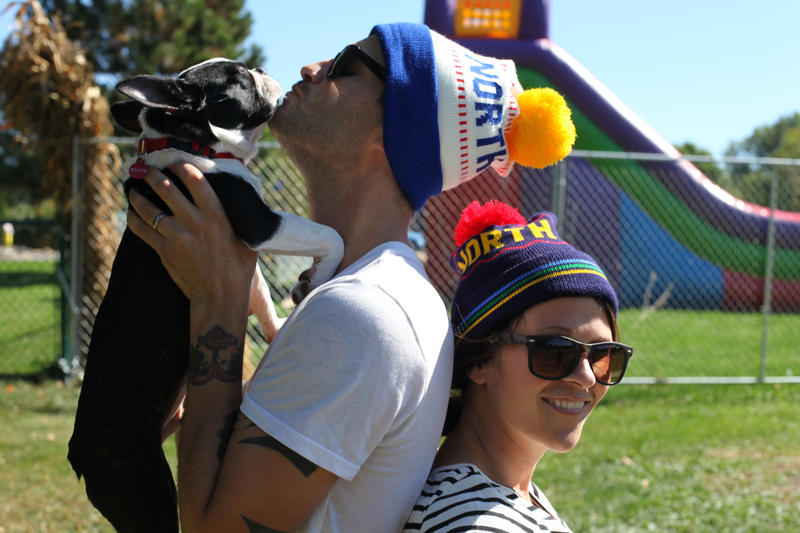 You might recognize the fit and style from the Wear-a-Knit factory in Cloquet, MN. 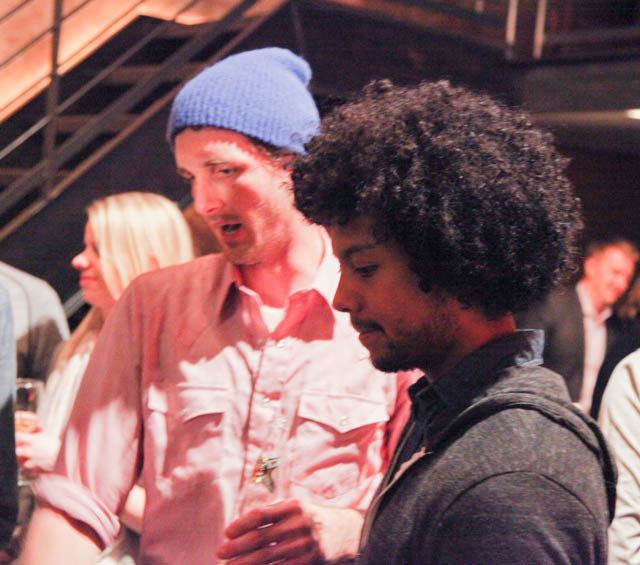 Askov joined in a partnership with them to create their own style hats. I think lighter one resembles a Hams Can, just my personal opinion. Justin, Chalene and North will be modeling them around…. It’s good to get back into the swing of things here at Columbus & Co. We wanted to share some photos of our recent trip to Arcadia, California to visit Railcar Fine Goods. We were first turned onto Railcar Fine Goods by Zen from Greenwich Vintage and after all of the raving and ranting Zen did about the denim brand we had to check them out. 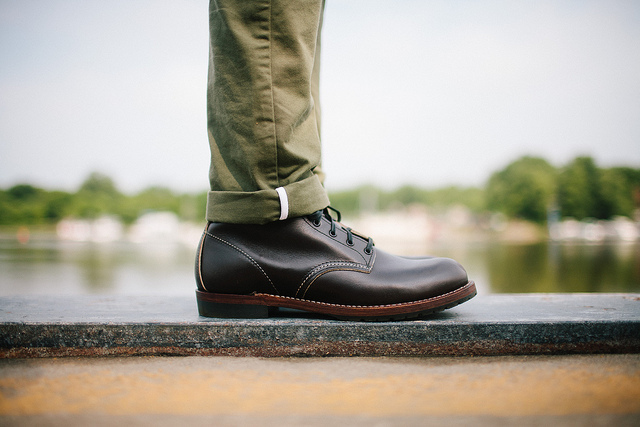 Zen was absolutely right, Railcar’s craftsmanship is hands down some of the best I’ve seen. Railcar jeans come with a heavy cotton pocket fabric, a heavy branded leather patch, a chain stitched bottom hem, belt loops tucked into the waist band that provides a clean look, a two piece waistband that reduces rear gaping and hidden rivets on the rear pockets. Steven is intensely passionate about his work and the trade, which was evident on the tour he gave us. 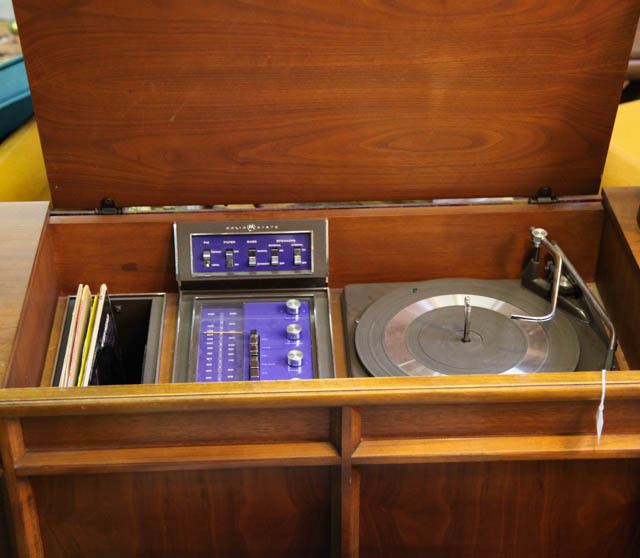 He enjoys finding old sewing machines, repairing them and selling them for someone else to use, which is incredible. 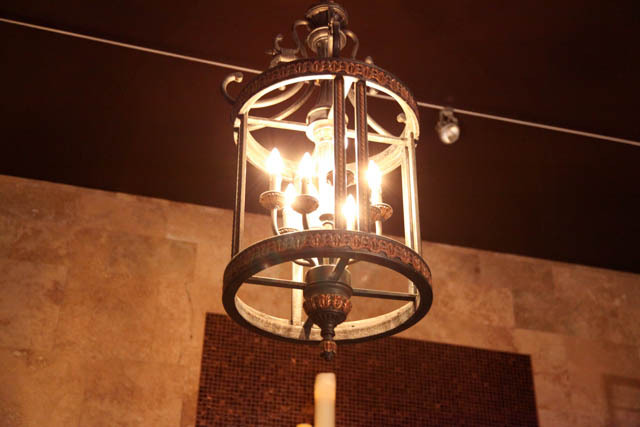 He likes projects and restoring pieces of history. He has several unique sewing machines from the early 1900’s that his team currently uses to build jeans. 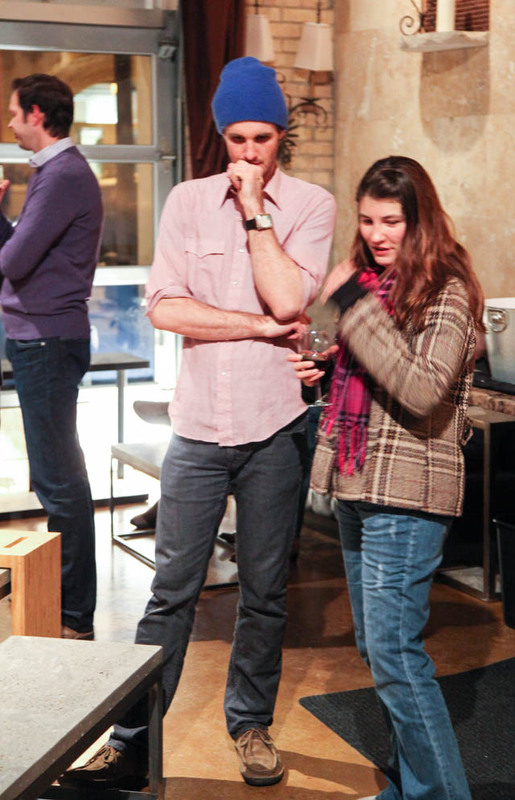 Including Steven there are 7 total employees at Railcar that earn a living making quality jeans. Just another reason to buy American Made! 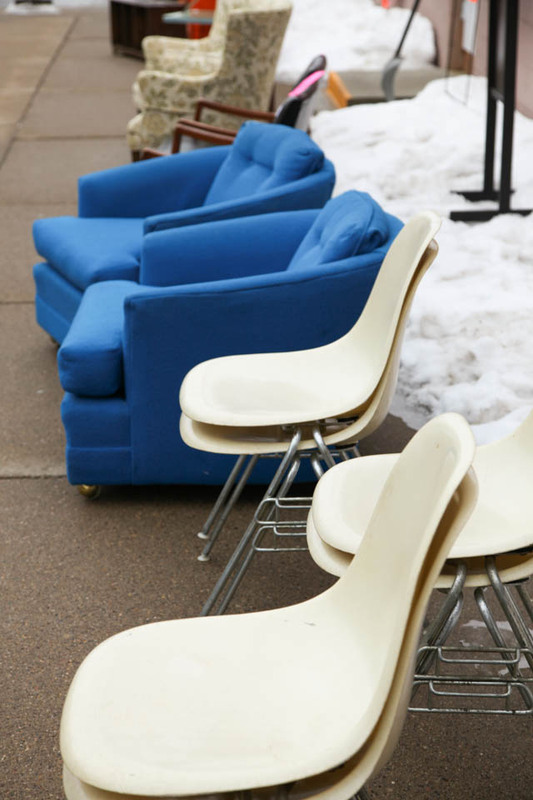 Retro Wanderlust located in downtown Hopkins, MN offers a collection of vintage clothes, accessories and furniture from the 50’s, 60’s, and 70’s. 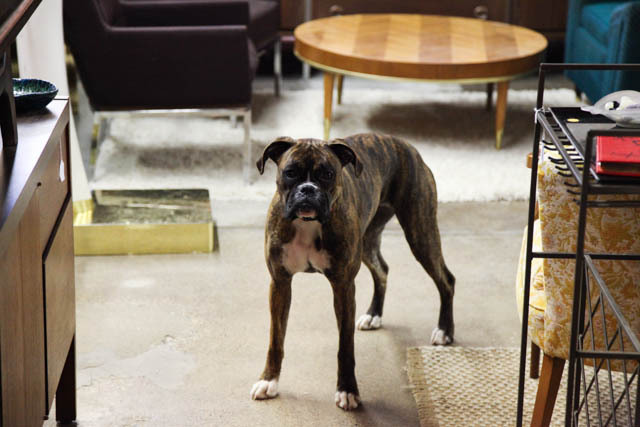 As I walked up to the entrance and sat down on the Herman Miller chairs Lola the Boxer came up sternly looking at me and quickly became my personal shopper. She’s super photo genetic and loves to be in front of the camera at all times. 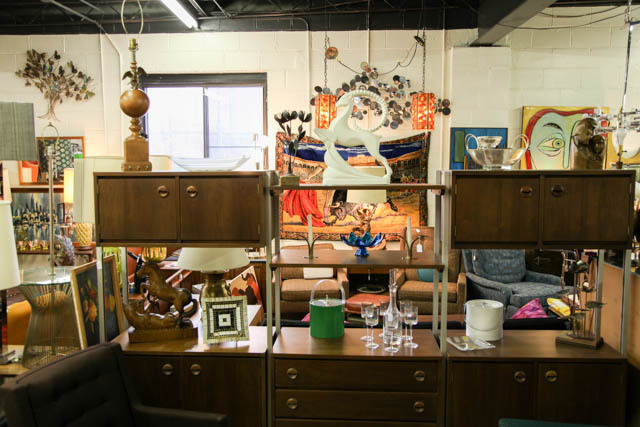 Retro Wanderlust has a variety of mid century modern furniture, antiques and vintage clothing. 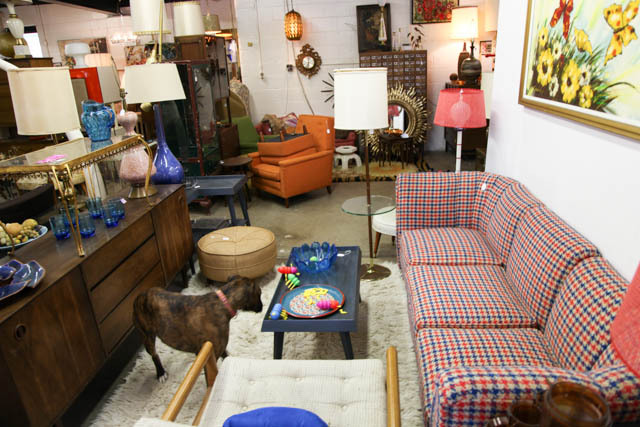 It’s a neat little place with a ton of hidden treasures. 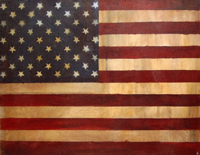 I highly recommend giving it a pass through to see if you can find something that appeals to you! 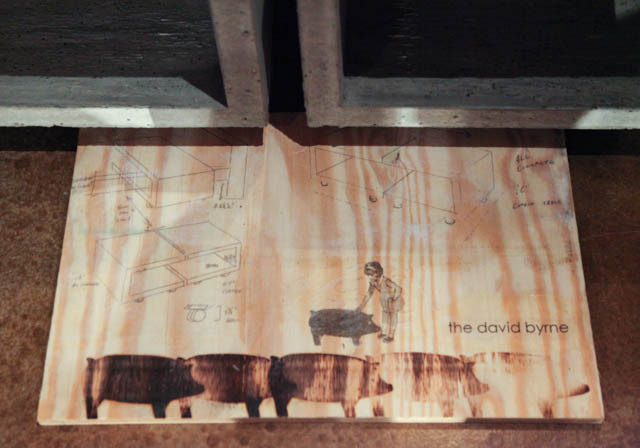 My friends invited me to an artist party over the weekend featuring precast concrete furniture from Concrete Pig. 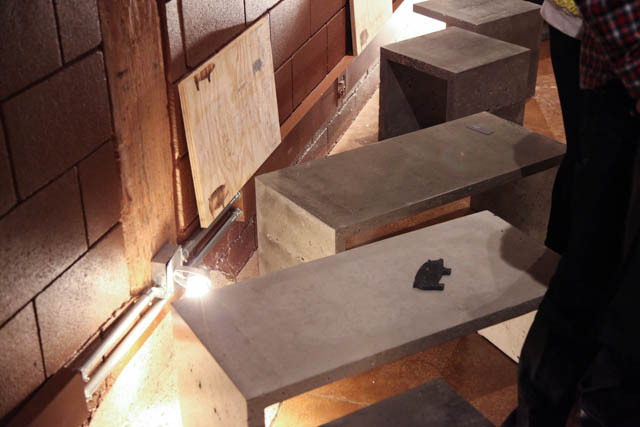 Concrete is such a moldable substance and Concrete Pig is one of the best in the twin cities at making it into pieces we can and want to include in our living spaces. Bar stools, counter tops, end tables, coffee tables and pretty much anything else you can thing of Concrete Pig is making. Coming from the building materials industry and having a dad in the cement industry for over 30 years I know what it takes to produce a sustainable and quality product. Concrete Pig’s work is designed and created to perfection. Also gets a thumbs up from Columbus&Co. because it’s Made in America! 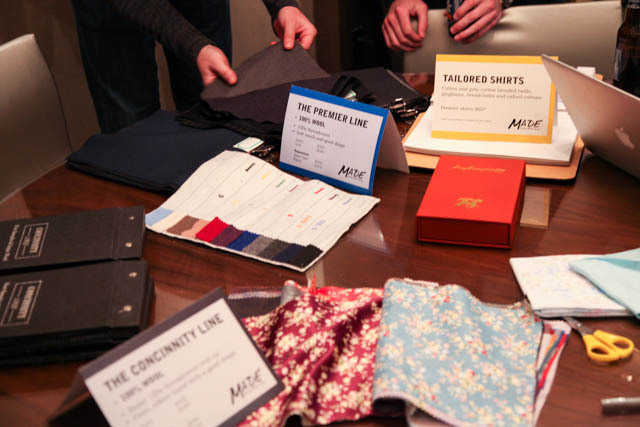 Justin Kwan of Made Clothing out of China has teamed up with Martin Patrick 3 of Minneapolis to offer made to measure suits, jackets and shirts. It’s a wonderful fit for these two companies because Made Clothing offers great quality and fitting suits and Martin Patrick 3 stocks and sells only the finest goods. 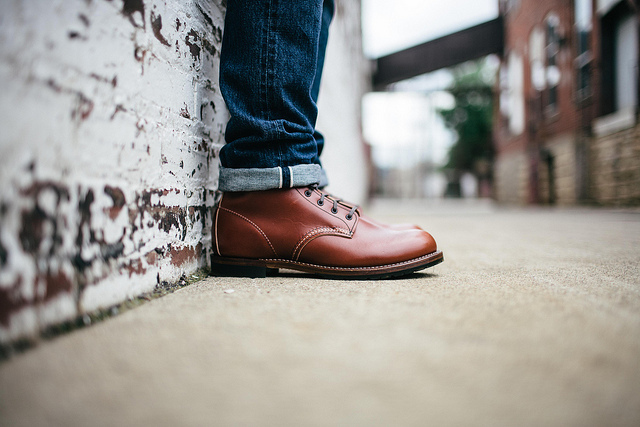 Martin Patrick 3 already stocks a variety of fine casual mens clothing items now with this partnership they are able to be a one stop shop for all of your mens clothing, grooming and travel needs no matter what the occasion is. Marcus of Columbus&Co. has been buying Made Clothing since their conception several years ago. 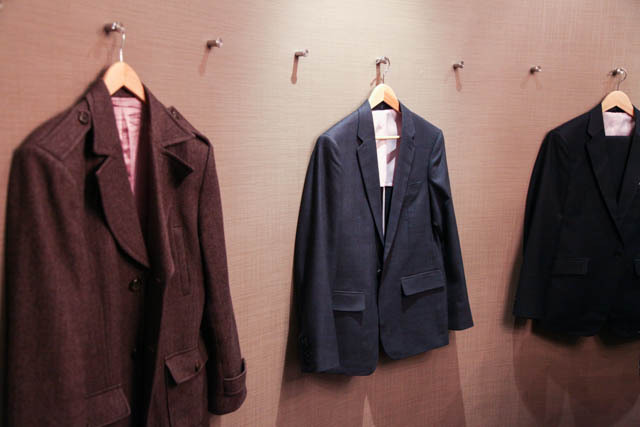 The fit of the clothing is hands down comparable to none and the quality matches anything you would find off the shelf at your current suit suppliers. Probably the most enjoyable part of Made Clothing is the price point! 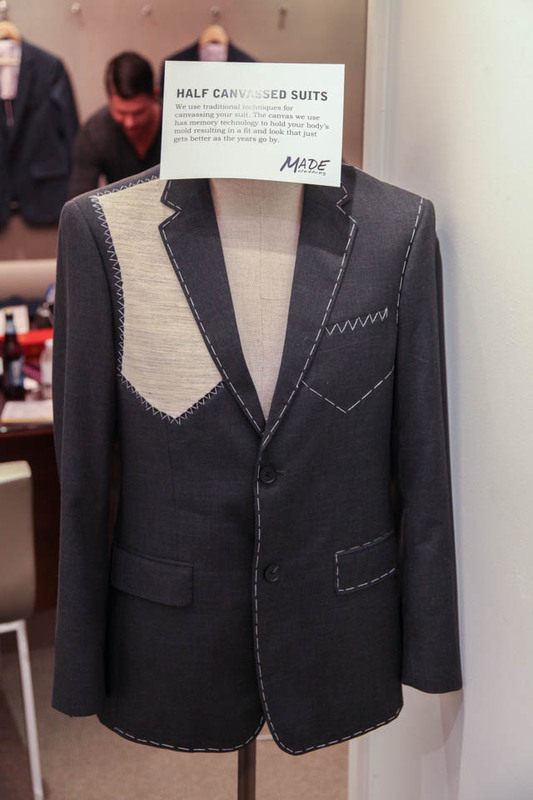 Affordable made to measure clothing is rare, so it’s nice to have this option available at Martin Patrick 3.